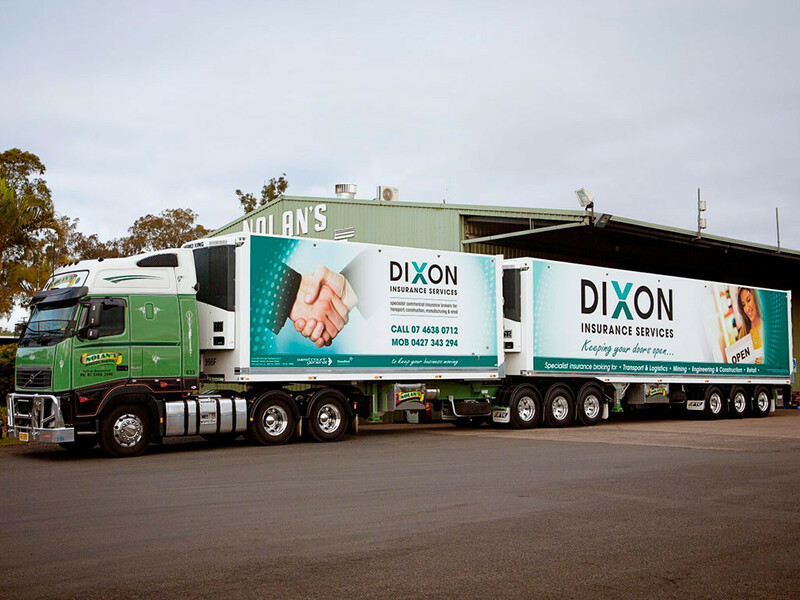 Dixon Insurance Services has an enviable reputation in providing insurance solutions to the transport industry. We are regarded as specialist brokers for larger fleets and provide insurance for mobile plant, fixed property assets, equipment and indemnity for companies around Australia. Our depth of understanding about the transport industry allows us to deliver first class insurance solutions to your transport operations. We cater for smaller owner drivers, courier fleets, large interstate transport fleets, specialist cartage contractors, warehousing, distribution and logistics operations. Our highly developed and trusted relationships with major insurers allows us to better service our customers by providing broader policy wordings, customised policy inclusions and competitive pricing options. Most people automatically think of motor vehicles and liability when discussing transport. We emphasise the need for clear communication on all classes of risk including Marine Transit risks and Carriers Liability. We always use specialist underwriters for Marine Transit and Carriers risks. As your cargo is your livelihood, we understand the intricacies of ordering, loading, dispatching, transporting and unloading or storing your customer’s goods. Due to the diverse nature of the transport industry and the goods carried, the spread of risk is enormous. The logistics are often complicated and client specific. We successfully handle insurance for local delivery, refrigerated freight, bulk haulage, air express, hazardous goods, export of refrigerated product, import of produce and motor vehicles, transit of livestock and heavy machinery to name a few classifications of transport cover we provide to clients.